Today is the Memorial Day holiday in the U.S. It is the day we recognize and remember men and women who died in service to our country. It’s also a day off work. In almost every industry except for retail and a few others, office workers get Memorial Day day as a company -paid holiday. Memorial Day is one of the big holidays. 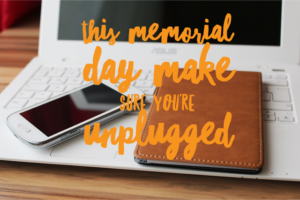 Even stingy companies give employees the day off on Memorial Day. You know those companies where you only get 6 company observed holidays per year? New Year’s Day, Memorial Day, Independence Day, Labor Day, Thanksgiving and Christmas. Yup, that’s it. President’s Day? Veteran’s Day? Martin Luther King, Jr. Day? Naw, those are work days at many companies. Memorial Day is the unofficial start to the summer season for Americans, so it’s a holiday we hold close to our hearts. Barbecues, cookouts and trips to the beach are annual rites of passage to summer and this is the weekend those traditions begin. 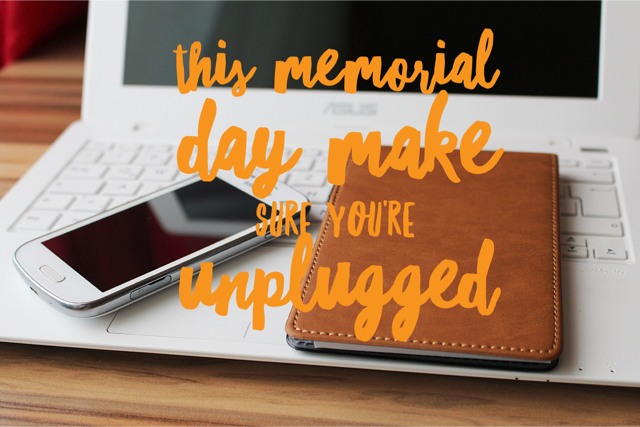 This is the weekend we should all unplug and step away from work. For these three days, don’t check your email. Each time a thought about something work-related enters your mind, brush it away and think about something else. Be mindful about it. It’s critically important to take time away from your job to completely disconnect. There has been a lot of buzz this week about a new law proposed in France that would prohibit companies with 50 or more employees from emailing/communicating with employees after work hours, including weekends and holidays. It’s all about allowing staff to know that no digital communications would come from their boss at night so they can feel comfortable disengaging from their work responsibilities after hours. I think this is an awesome idea, because many times we check mail at night to make sure nothing urgent is happening that will catch us off guard in the morning. No one wants to find out something critical happened and there is a string of email communication with everyone but you contributing to the conversation. I’ve felt that before and so I when I was working in corporate environments, I would routinely check mail a few times in the evening. It would be a nice feeling to have work completely stop in the evening every day. To know that nothing would require your attention over the holiday weekend. For many office workers with corporate-issued cell phones that ping when emails are received or with instant messaging apps, that doesn’t happen. A law like the one being considered in France could go a long way toward encouraging that behavior. Do you think we need a law to prohibit our bosses from contacting us during non-work hours? Almost everything you have to do at work can be improved by using mindfulness. 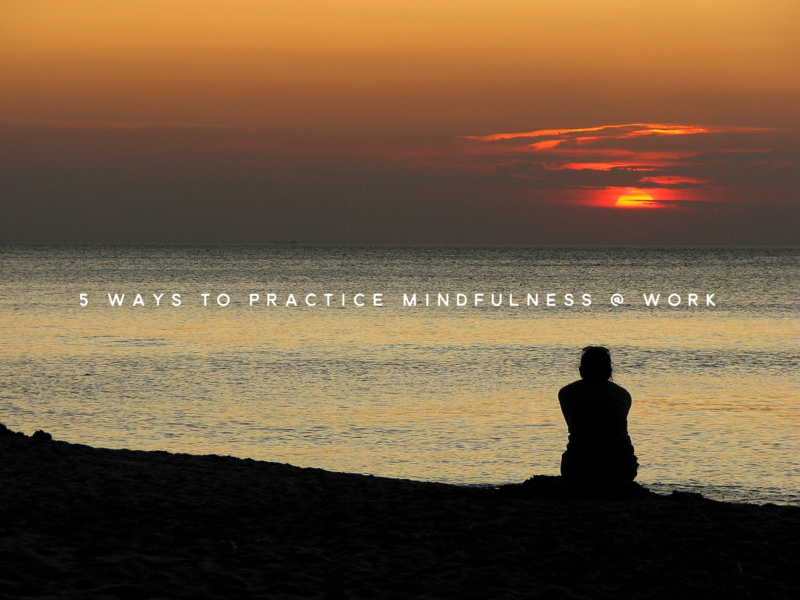 When you start applying mindfulness to your workday, you learn to control your thoughts. Studies have shown you can improve your focus and control your emotions better when you’re more mindful. I learned to be mindful by taking yoga classes. It was hard for me at first. I had never been interested in stopping to focus on my breathing. But I after I started thinking of my yoga as a ‘practice,’ and learning to really concentrate on being in the present moment, I saw all these great benefits begin in my life. You can’t just break out in a Downward-Facing-Dog at the office when something happens that stresses you. 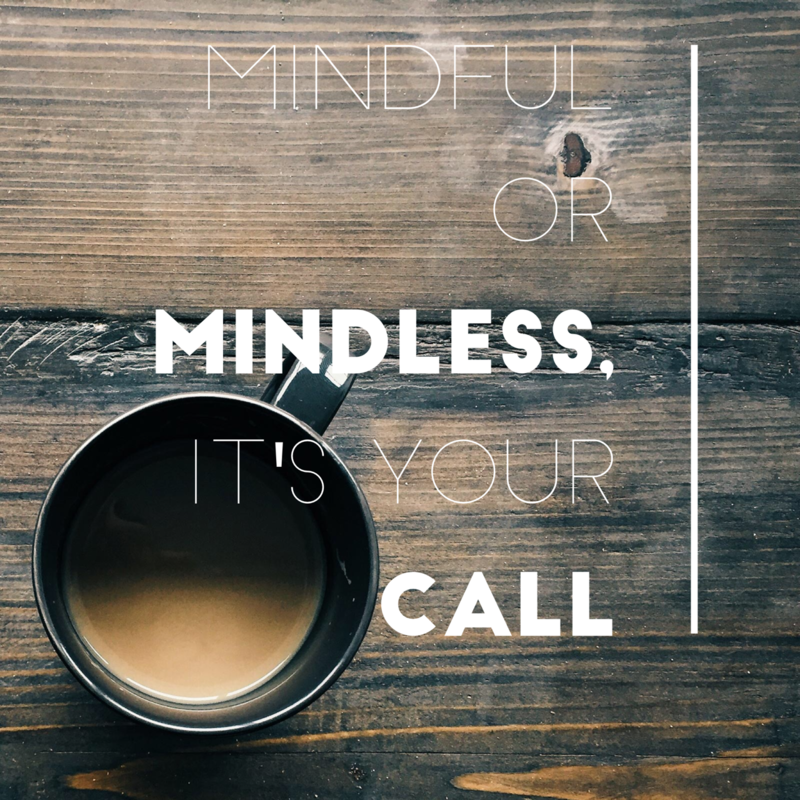 I wanted to figure out the best ways to implement mindfulness at work into my day. 1. The first step starts before work. Take at least a 10 minute walk. If it is raining try to jump rope on the covered porch. If both those options are out, walk in place with high knees to get my body moving. Thirty minutes would be the best option, but I’ll take what I can get. 2. As your computer powers up, stop and breathe. Focus on breathing in and out and quieting your mind. Be in the moment. 3. Take a short walk mind-morning. Just step away from the desk and give your brain a mental break. Maybe you ride the elevator to the lobby and go outside to walk around the building. That burst of fresh air will help you think more creatively and have better focus when you return to your job. 4. Eat a good lunch. If you go out, try to walk and get more body movement during the day. If you eat at the office, try not to do it at your desk. But if you have to, reserve 5 minutes of quiet time or time for a little movement before you return to your tasks. 5. When the 3 PM slump hits walk right by the coffee pot to get water. Hydrate your body and your brain works better and faster. As you drink, quiet your mind. If you can, add a quick walk around the floor to your afternoon water break. There are lots of other ways to incorporate mindfulness in your work day. I’d love to hear what works for you. A habit is something you do continuously, that in some cases almost becomes involuntary. Habits are things that many of us train our brains to make us better, wake up early, work out and eat well. But in some instances the things that we commit to memory and become habits turn out to be negative, and they control us from the subconscious in a conscious way. Can you just not seem to kick your foul mouth in the office, or do always have something negative to say about a colleague? 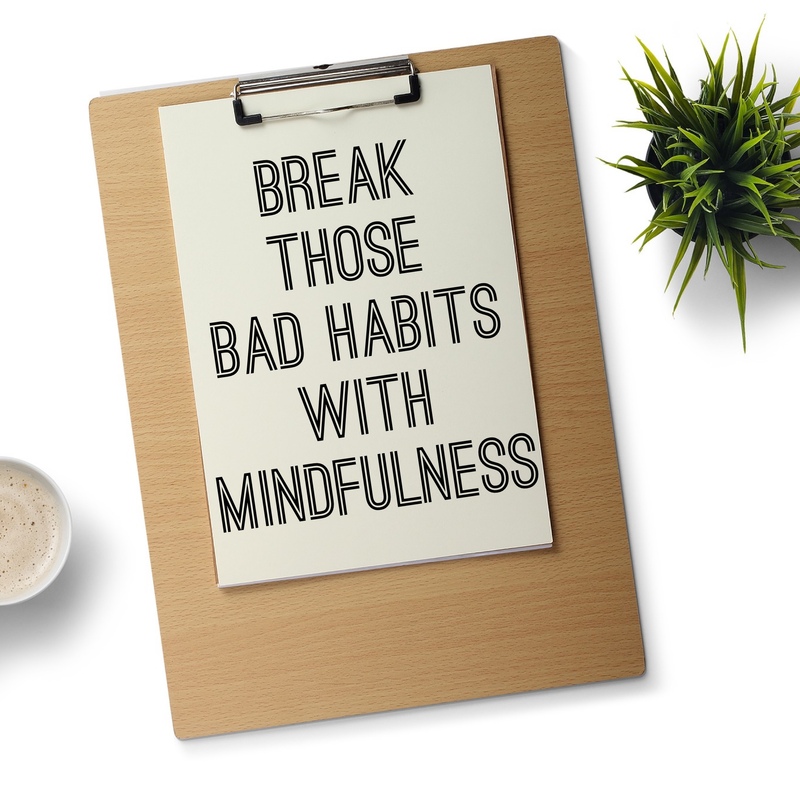 One way to deal with these unwanted habits is by taking better control of your mind with mindfulness. Mindfulness comes into play because it helps you filter your thoughts. You become more intentional with the things that you commit to memory, which then turn into your habits. 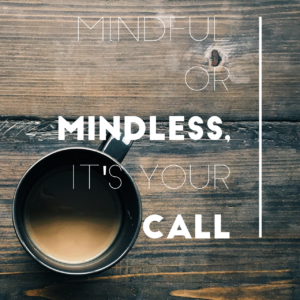 Mindfulness puts you in control and provides you with the tools to act like you want to. A great way to get started with your practice is just to sit alone in a quiet place for 5-10 minutes, close your eyes and pay attention to your breath. You may have thoughts running through your head, but don’t mind them, let them come and go and just relax. Think of each thought as in a ‘thought bubble’ and let it drift from your mind. The more you practice, the more you can be aware of where your focus is going You then have a choice to pay attention to the positive or negative. So don’t waste anytime, Start breaking those bad habits today. Use the guided meditation below to get started. READ MORE: Tap Into Your Unknown Superpower, Mindfulness! This article covers the mindfulness pillar of the Living Happier @Work program.